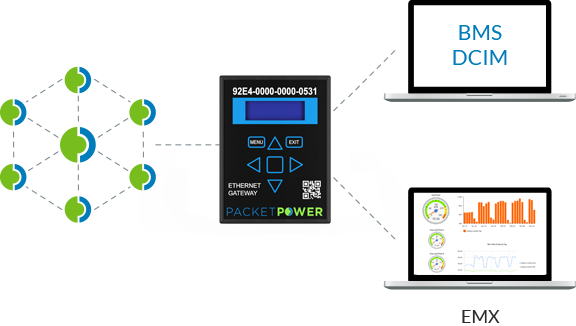 Gateway Technology from Packet Power on Vimeo. 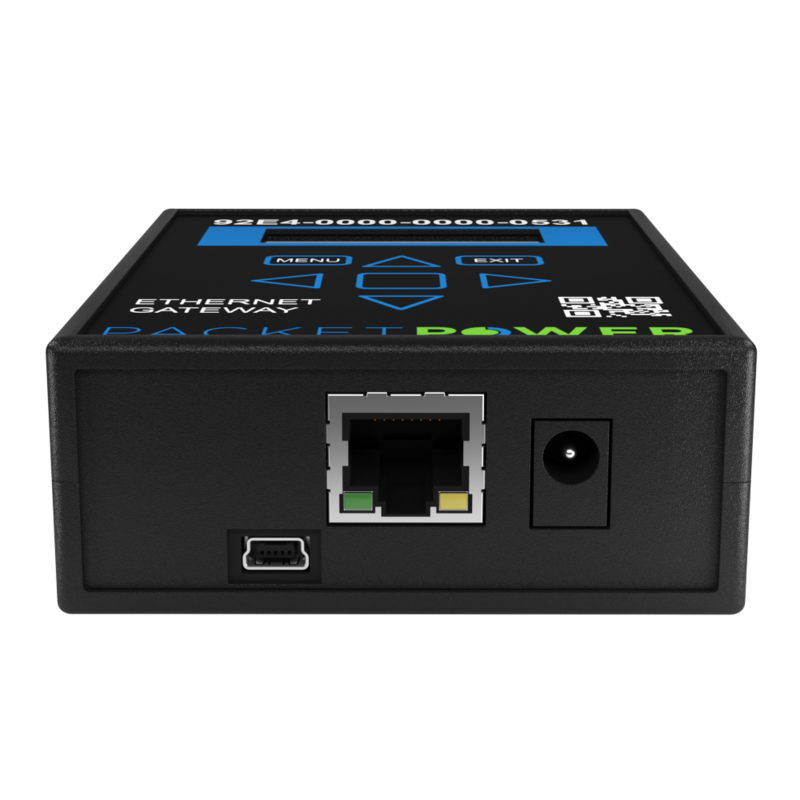 Applications access data through Gateways, Hubs and Data Diode. Setting up the devices is straightforward. Once installed, they make ongoing network management easy by automatically managing complex tasks such as security, protocol conversion, firmware upgrades, and high availability. 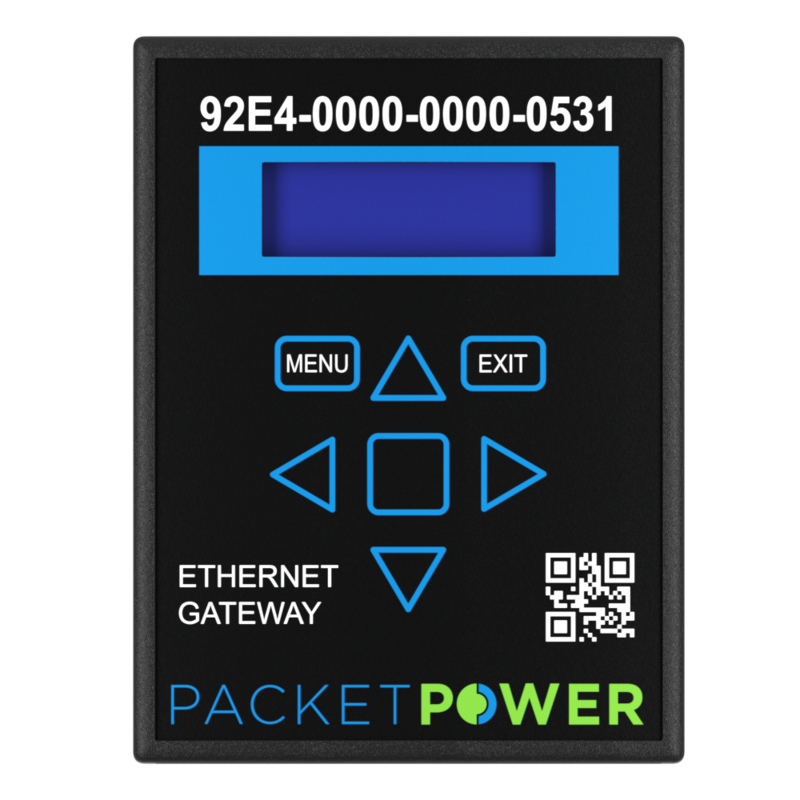 Ethernet Gateways provide access to the readings captured by Packet Power’s wireless monitoring devices. Every location with a monitoring network needs at least one Gateway, and as the size of your network grows Gateways can be added to maintain suitable network performance. Gateways also handle the protocol conversion needed to put monitoring data into standard formats used by BMS and DCIM systems. Small site models support 30 or fewer monitoring units. Standard models support up to 150 monitoring units. Advanced Modbus and SNMP protocol conversion enables integration with most BMS and DCIM systems. An EMX-only model is also available. 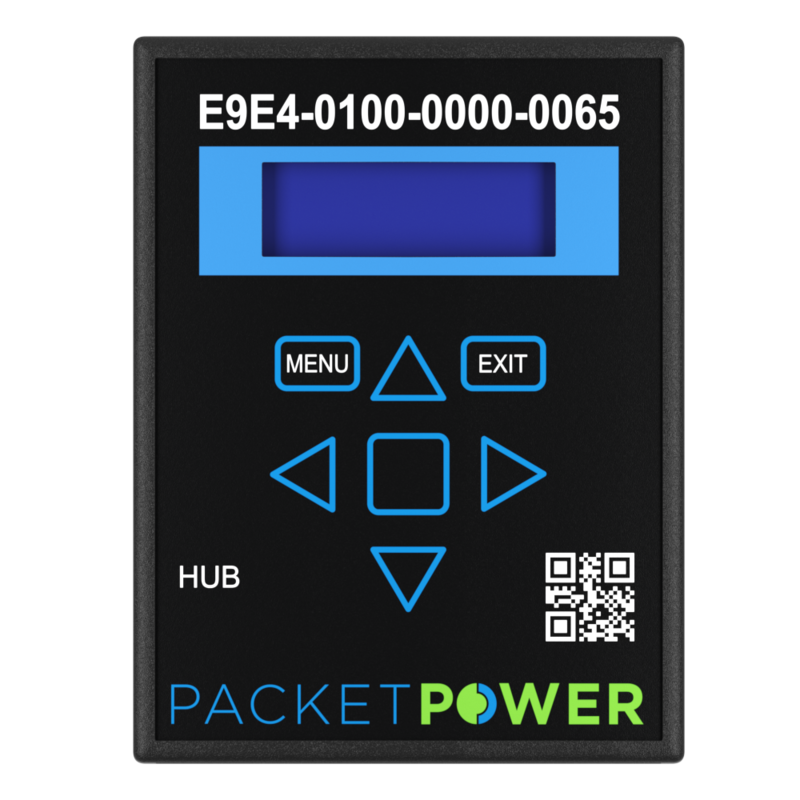 Hubs connect non­-Packet Power monitoring devices to the EMX Energy Portal. 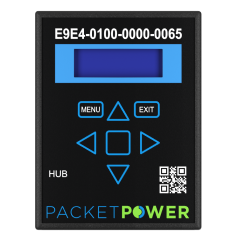 This allows companies using EMX to gain insights into energy usage from nearly any device that can support standard SNMP or Modbus protocols. 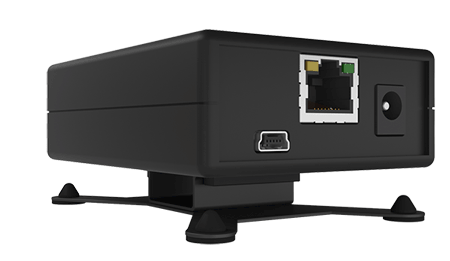 Feeds data from SNMP devices to EMX. 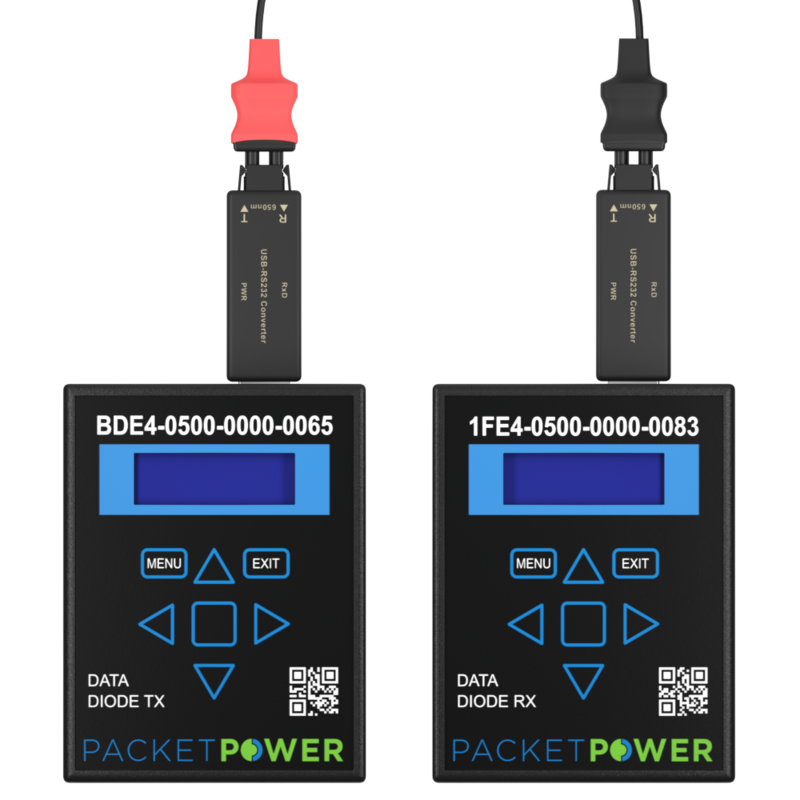 Packet Power's Data Diode allows one-way secure transfer of monitoring data between two isolated IP networks via a unidirectional encrypted fiber optical link. This enables a colocation services provider to easily share real-time monitoring data for use in an end customer's monitoring application. 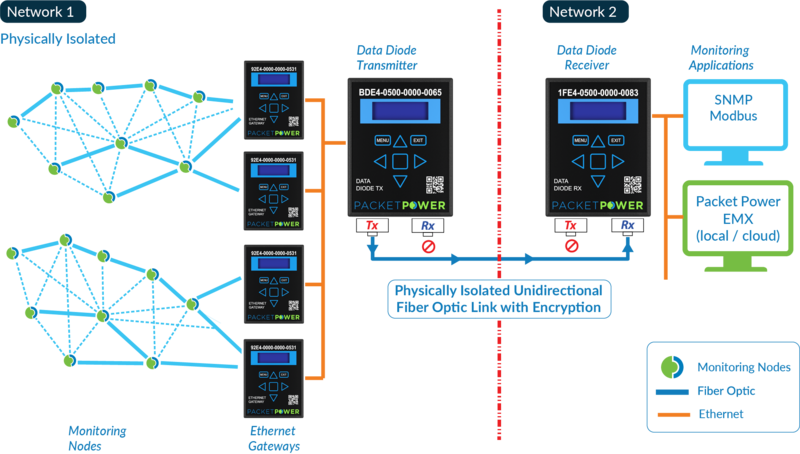 And Data Diode securely allows data from an isolated network to be sent to a cloud-based monitoring service such as Packet Power's EMX Energy Portal. we can prove that we offer wireless that works. See how we do it.